Salad leaf with a peppery fresh taste, most commonly used raw but can be cooked too. 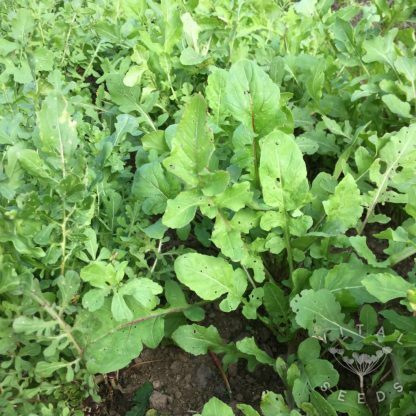 The nutritious dark green serrated leaves add their fine spice to salads, pasta, pizza, pesto, other sauces or as garnish. 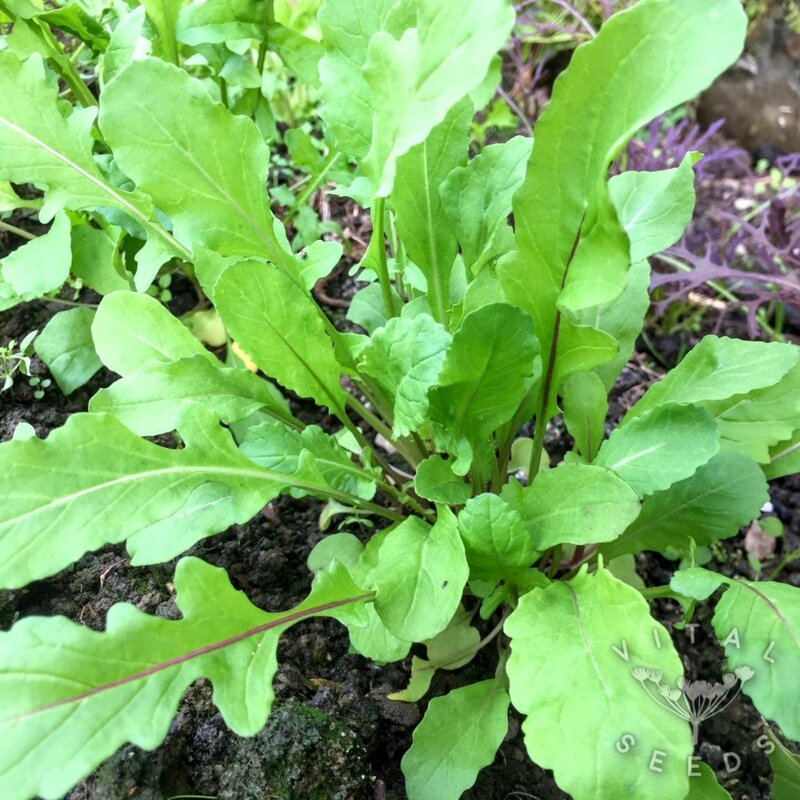 Salad rocket is native to the Mediterranean and has a long history of popularity. It is quick to crop and easy to grow and definitely one of our favourites leaves.